Gotu Kola (Centella asiatica) is a vine-like plant native to India and Southeast Asia. In India, Gotu Kola has a long history of use in Ayurvedic medicine to improve memory and sleep, promote wound healing, treat skin diseases and help conditions like varicose veins and hemorrhoids. It is the leaves of Gotu Kola that are extensively used in medicinal formulations as they contain the most potent therapeutic ingredients. 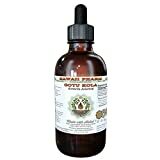 Though human studies appear to be lacking, animal studies have suggested that Gotu Kola has antioxidant properties and may improve cognitive functions. 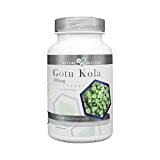 Gotu Kola supplements are available as bulk powder and capsules.